In the Champions League matches on Tuesday, Mancheter United played 0-0 against Valencia at Old Trafford. Both the team were very poor and lacked the attacking instinct. There were some unpredictable results on other matches. The defending Champions Real Madrid lost against CSKA Moscow at Moscow by score line of 1-0. Nikola Vlasic got a goal at the second minute of the match. And at Munich, Bayern were held at 1-1 by Ajax. There are 8 more matches to go for the Wednesday night and hope that it is going to be another interesting night of Champions League Football. 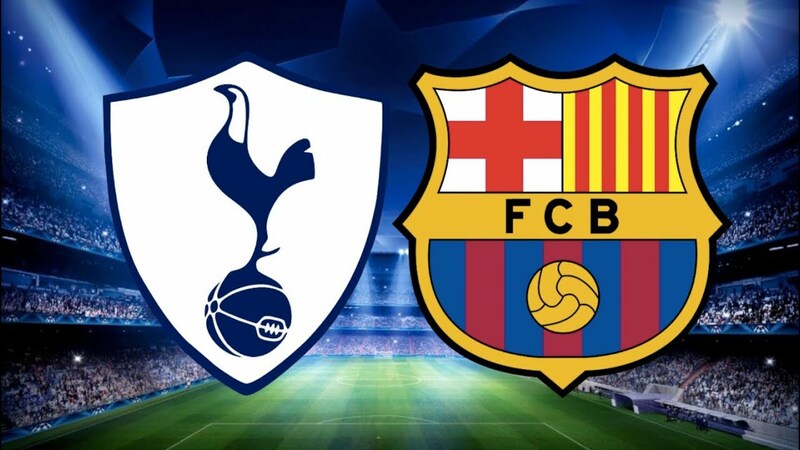 For Wednesday, I am taking a bet for the match between Tottenham vs Barcelona. Tottenham had a mix season so far as they came back in form after 3 defeats to win another 3. Now they are comfortable in fourth spot in the English Premier League. In their Champions League opener, they lost to Inter Milan by 2-1 which should put them in some pressure to enter into the round of 16. There is going to be 3 way race between Inter, Barca and Spurs, and if they want to be in race, they need to start collecting points. On other hands, Barcelona recently is going through a bad form, and are without a win in last 3 matches. The arch rivals Real Madrid lost against Moscow today, and we won't be surprise if Barca loose against Spurs. In the league, both of team is at neck to neck going with ups and downs. Barca started the Champions League brilliantly defeating PSV and Messi got an important hat-trick for Barca. So, this is going to be an interesting game as both teams look to win it. Spurs want to continue their good form in the league to Champions League while Barca wants to avoid their poor run of form in Champions League. Its pretty hard to decide who is going to win this contest, the inform Spurs or out of form Barca, but the bookies are in favor of Barca with the odds of 2.00 while the odds for Spurs to win this is at 3.80. The draw is also at 3.80, and its really hard to pick who is winning this. But what is certain is number of goals, I predict we should see some goals being scored from both sides. Over is at 1.57 while BTTS is at 1.54. I will be playing a safe bet of Over at 1.57 and taking a risk and going for a draw between this sides at 3.80.